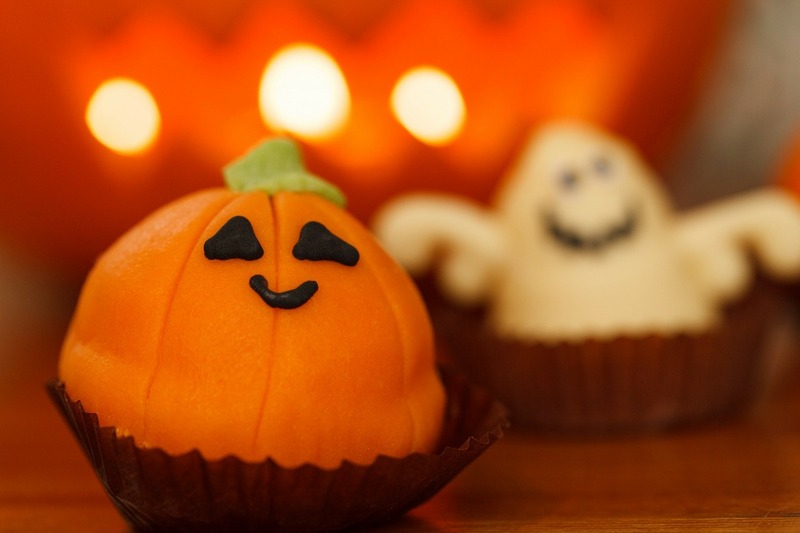 Fun Recipes for your Halloween Party! When Halloween is coming up, you'll have lots of chances for fun with friends and family. Of course, you'll want to hit the streets in your neighborhood for some trick-or-treating. Throwing a Halloween party is another idea for a fun way to celebrate this spooky holiday. You can do craft projects to make decorations for your house. And it's fun to roll up your sleeves and get busy in the kitchen, making a lot of tasty party treats that everyone will love. But be careful if you have friends who have food allergies. These friends will want to celebrate with you, but you'll need to make sure that you serve food that's safe for everyone to eat. One idea that can help you have a great Halloween party is to choose a theme for your event. Of course, it goes without saying that you want it to be spooky and fun, including all of the most exciting parts of Halloween. But you can pick a special theme to make it even more memorable. If you love wizardry, why not plan a Harry Potter party focused on witches and wizards? You could also make your party harvest-themed or ghost-themed. Or you could have a detective party: Plan out a mystery for your friends to solve! You could also throw a themed costume party, asking your guests to come in costumes from your favorite movie or book. Hosting a pre-trick-or-treating party is a great way to get everyone ready for the big event. Plan some fun games, maybe tell a ghost story or two, and then hit the neighborhood streets as a group to haul in the candy. More and more kids have food allergies these days, so you should think about how you can make sure that your party will be safe and fun for all of your friends, including kids with allergies. Candy-makers do offer some treats that don't have ingredients like peanuts, dairy, soy, eggs, and gluten, which can make some kids sick. If you decide to serve some of these treats, make sure you read labels carefully, and hold onto the packages they came in in case someone wants to check the labels themselves. And don't forget that Halloween treats don't have to be food: You could also give out non-food things like small toys or stickers to your friends. 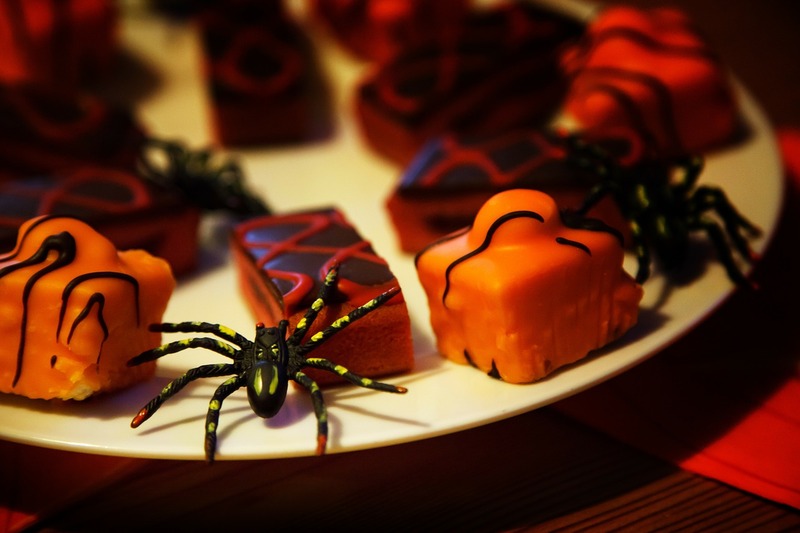 Make sure your Halloween party is safe and fun for everyone by taking the focus away from food, especially if you'll have guests with food allergies. Sometimes, people with allergies won't want to eat homemade treats, since they can't be sure that they're going to be safe, but you can also think about recipes for foods you can serve that don't include things your friends might be allergic to. You might also just want to buy pre-packaged foods that you know will be safe for everyone. Of course, you'll also need to make sure that the food is safe by making sure that hot food stays hot and cold food stays cold during the party. Parents can help with setting up hot food safely, and you can help with the cold food by keeping it in the fridge until it's time for the party and then putting serving trays on top of ice to keep them cool while people are eating. Also, you'll want to plan some fun party games and activities. You could have a scavenger hunt, do craft projects, play spooky games, or have a pumpkin-decorating contest. Instead of bobbing for apples, try making paper apples out of red construction paper, then write down a quick activity on each one, like "sing a song" or "tell your favorite story." Put a paperclip on each paper apple, toss them into a basket, and have your guests fish for them with a homemade fishing pole, then do whatever the apples say. This game is a lot of silly and germ-free fun!